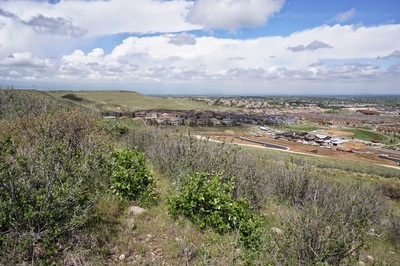 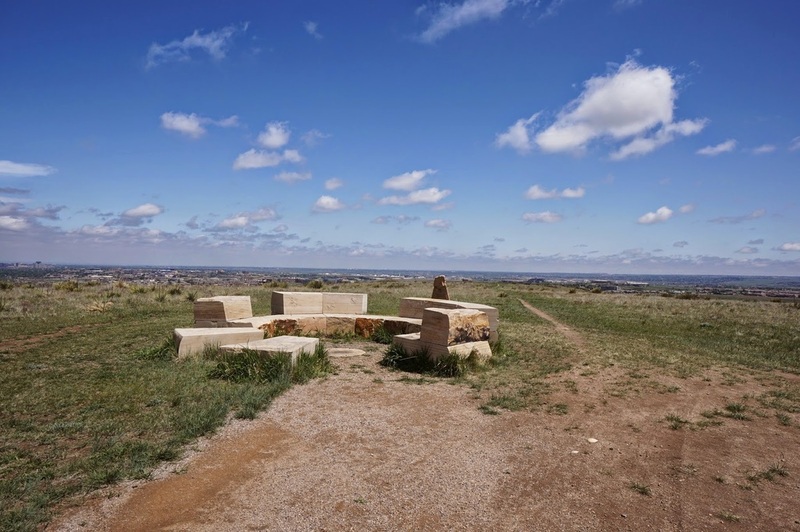 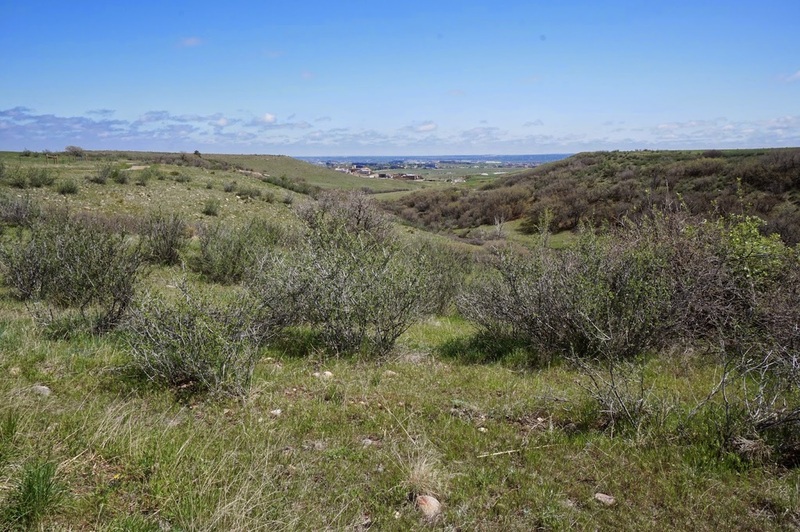 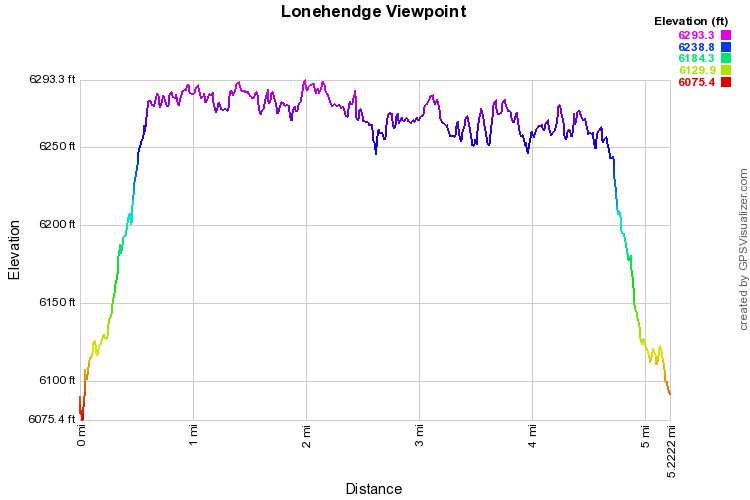 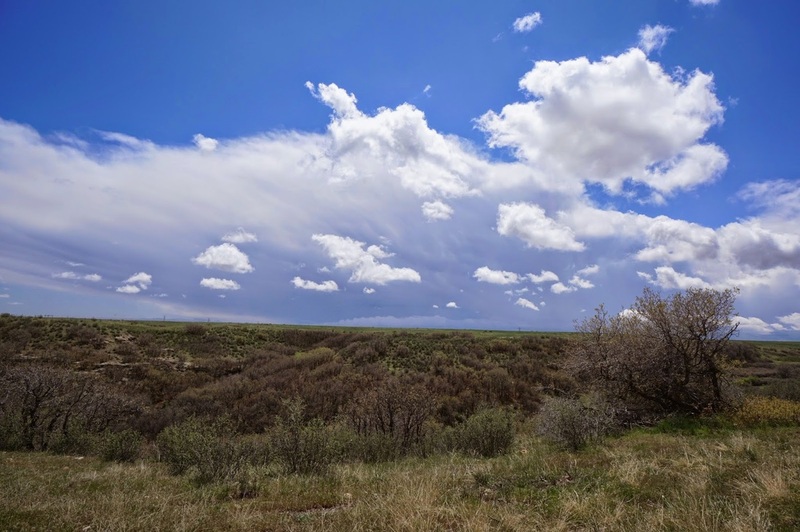 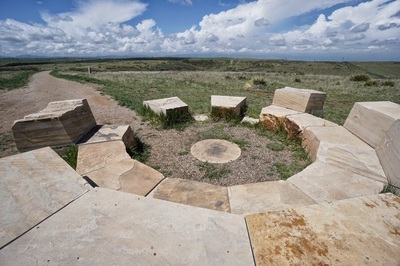 The hike to the Lonehenge Viewpoint seems to be a part of Bluffs Regional Park or at least is adjacent to the park. 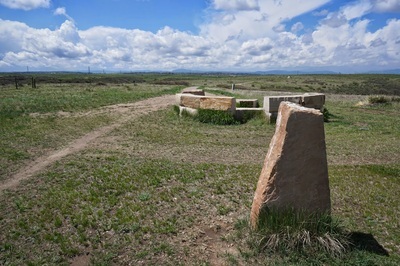 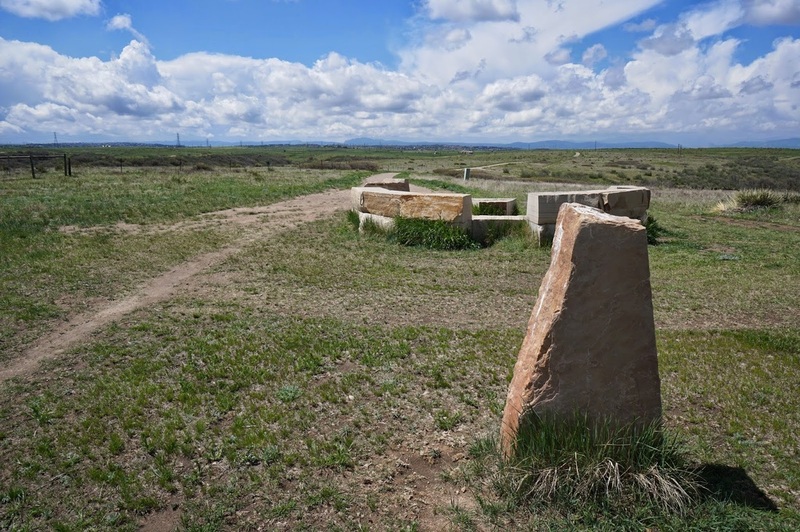 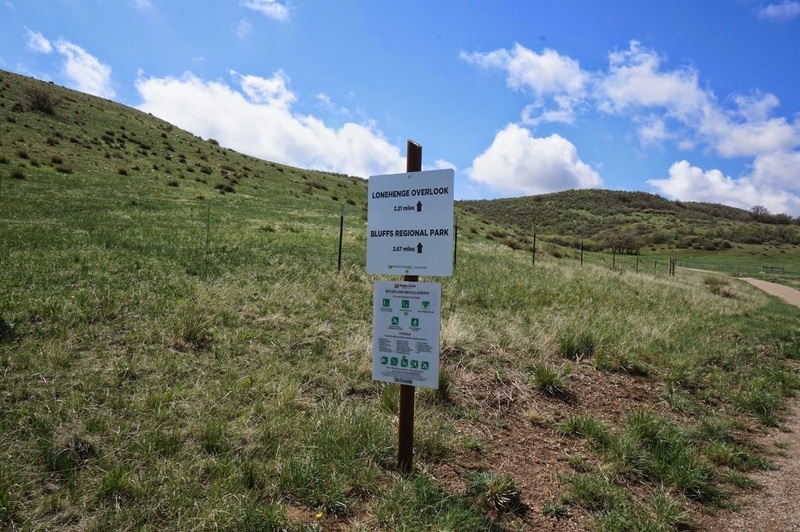 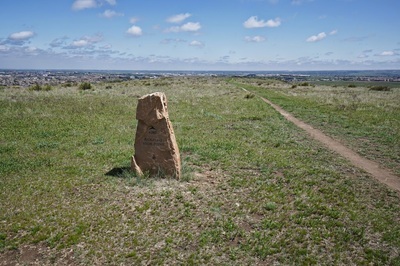 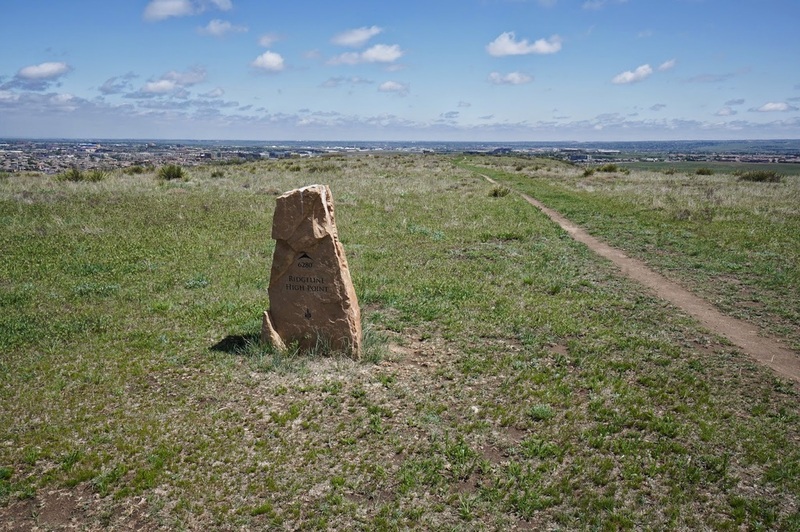 The trail is a pleasant enough with an interesting stone seating area, compass and map of the front range peaks. 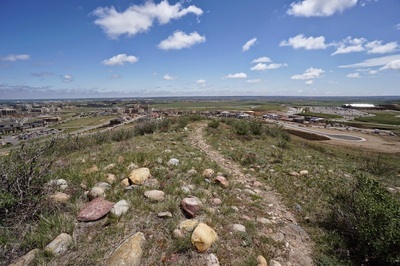 The view looks out over the Denver Tech Center. 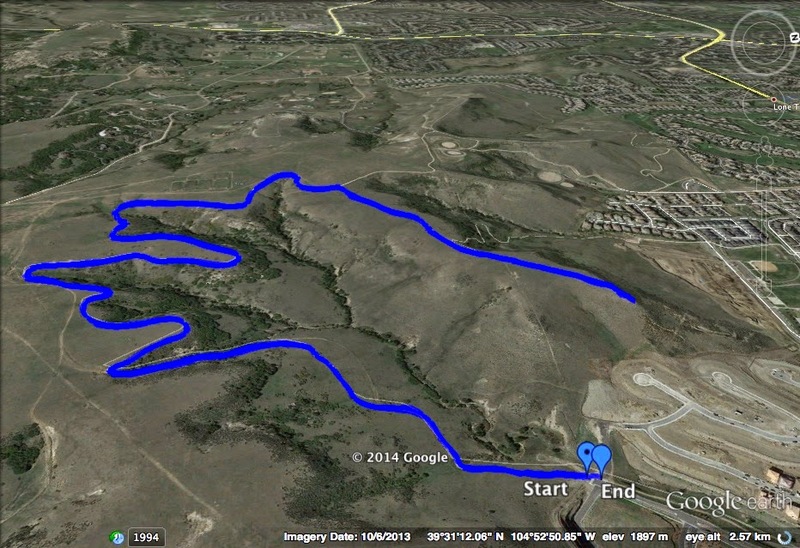 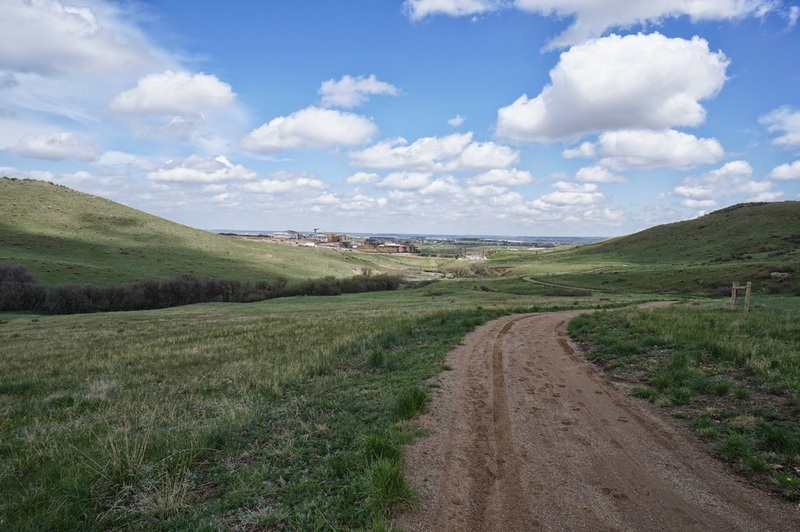 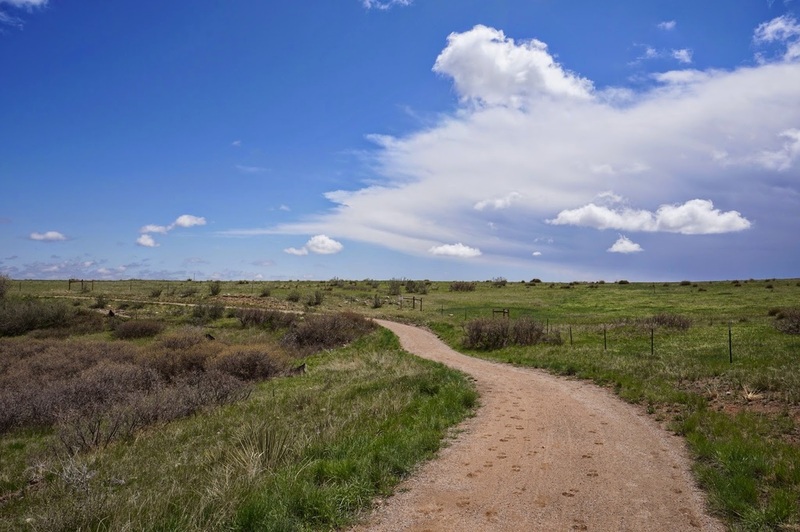 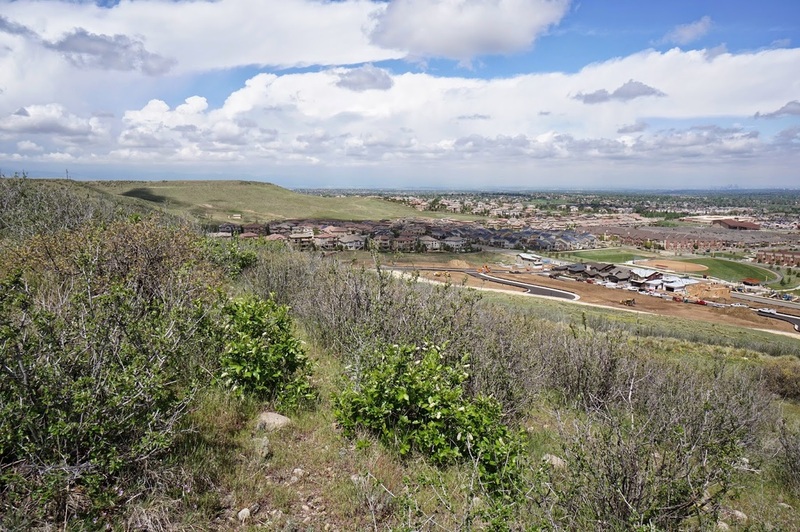 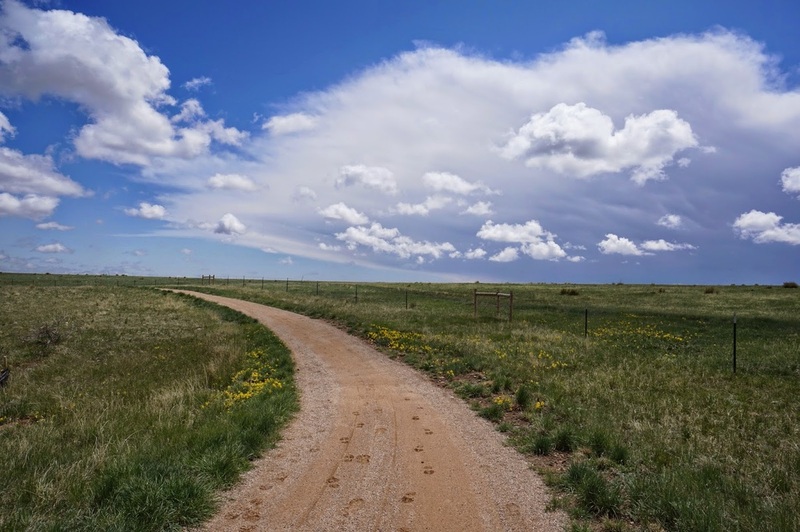 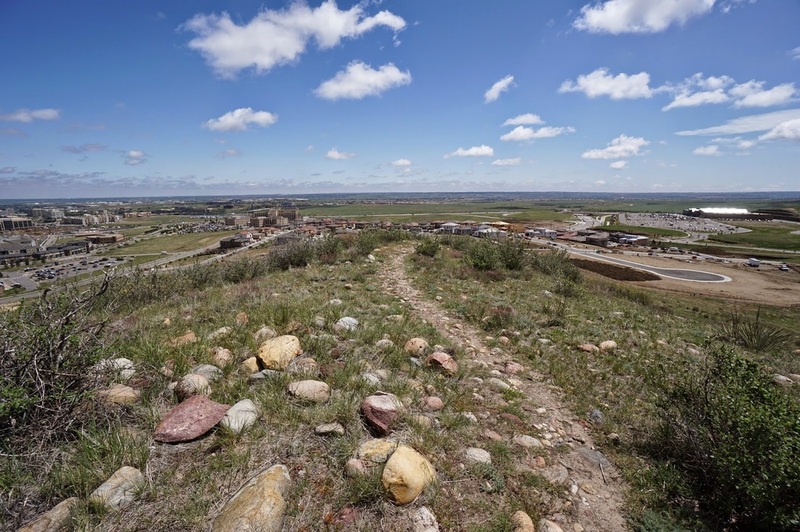 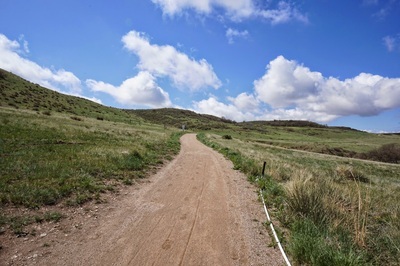 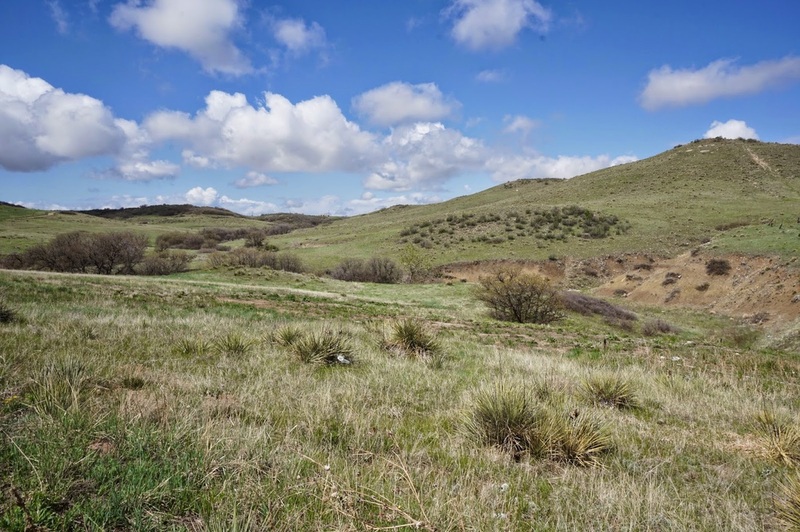 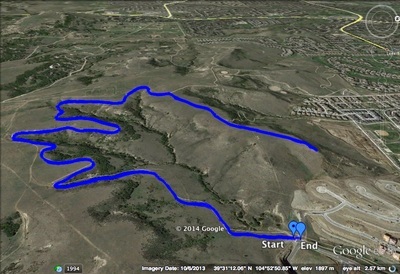 In my opinion, Bluffs Regional Park offers a nicer hike with more of a buffer from the development of south Denver. That being said, if you are in the area and looking for a trail to hike, you could worse than the Lonehenge View Trail.